As a sport, cyclocross enjoys a rabid fan-base across Europe. Literally tens of thousands of fans pack the courses to enjoy a festival-like atmosphere that combines the speed and frenetic energy of competitive bike racing with mud, sand, beer and vuvuzelas to generate a spectacle that is as fun for the racers as it is for the spectators. 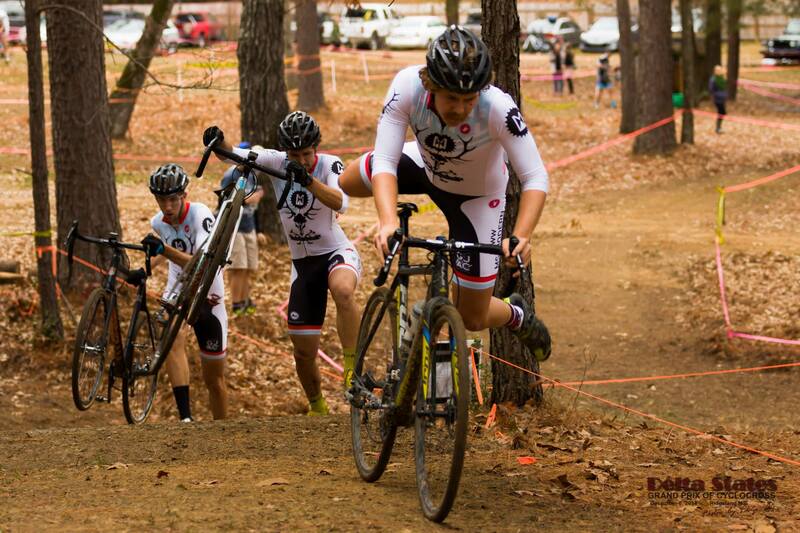 Cyclocross is enjoying a dramatic rise in popularity in the United States. In January 2013, the UCI held the World Championships in Louisville, KY -- the first time ever outside of Europe. Since that event, the groundswell of popularity has grown participation in the sport exponentially throughout North America. Organized in a grand prix format, Delta States Grand Prix (DSGP) rewards participation in the series by allowing riders to accumulate points over the weeks toward the eventual crowning of a series champion. By hosting multiple events across the region, we are able to bring the series to teams, clubs and communities who might not otherwise have the opportunity to get involved due to travel restrictions. We see this series as a way to promote the long-term health benefits of recreational cycling in general and we use cyclocross as a fun way to encourage individuals to get involved at a competitive level. Our primary goal is to grow participation in this series year over year, and to gain recognition and support on a national level from the elite level riders that have heretofore had limited racing opportunities south of the Mason-Dixon line. For more information on races or to get yourself registered, check out our Facebook page. Please take a moment to enjoy this hype video from our friends at Yeah Your Ride! This is a montage of all the craziness from our very first year! DSGP Championships Are Coming! from Micheal Boedigheimer on Vimeo. DSGP 2016 - Natchez from Micheal Boedigheimer on Vimeo.